"I am not my beauty." 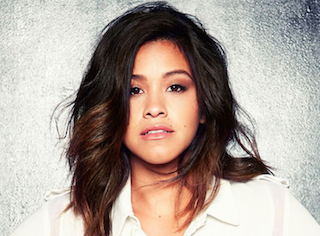 Gina Rodriguez is Latina’s latest cover star. The 32-year-old star of Jane The Virgin also stars in the upcoming film Deepwater Horizon and dammit, she looks great. I am not my beauty. Who I am is not my f–king hair, and to be an actor is to transform. To represent a community is to commit, to give my entire all. So if I’m going to represent Latinos in the industry and in art, if I’m going to represent my little cousins in Chicago, they’re going to know that I went full-out. Who are we afraid of? What are we afraid of? The worst thing that can happen is we die. Anything else you can handle.